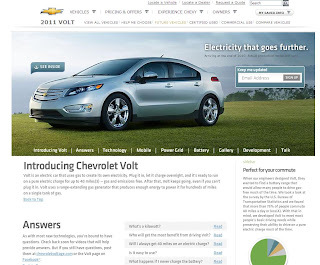 The Auto Marketing Blog: Get My Volt. How? 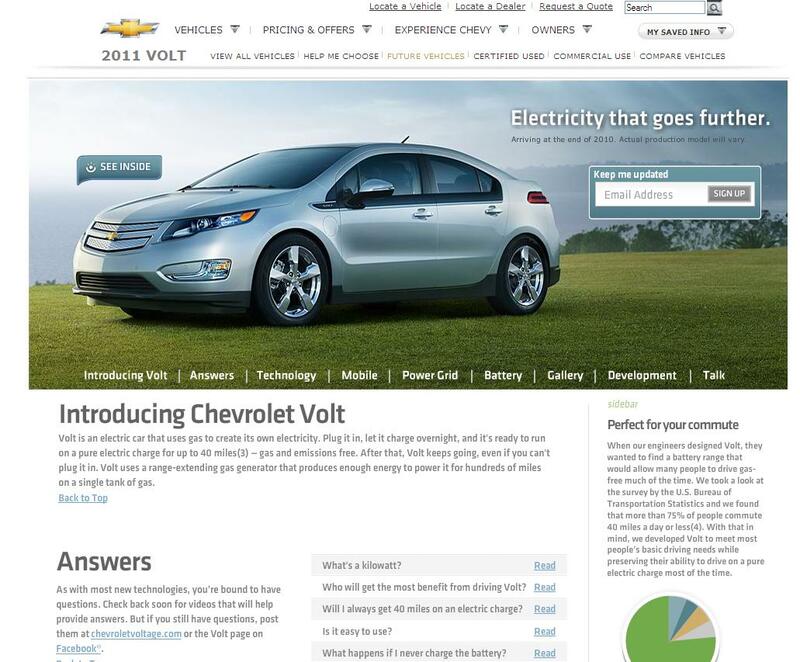 So I was listening to Chevy's Volt pricing announcment and noticed Joel Ewanick, General Motors' vice president for North American marketing, was promoting a new website for the Volt using the web address: http://www.getmyvolt.com. So I tried it to see how I could get my Volt. Unfortunately, it just took me, after two redirects, to the Volt landing page on Chevrolet.com site that has been up for months with no calls to action to order a Volt (the image above is where I was landed.) Too bad, I was hoping to see how the effort differed from Nissan's Leaf pre-order website that was very clear in how to order their electric vehicle offering. As part of the pricing announcement, Chevy hosted a Q&A where Chevrolet Volt marketing director Tony DiSalle and Volt vehicle line director Tony Posawatz shared some answers to questions mainly around availability and the ordering process. Just heard they will be building 50% more Volts for next year, I'm hoping to get my hands on one. I hope it won't be very complicated.